Estimated reading time: 3 minutes	Planning for fallbacks — GIFs, video, web fonts, oh my! Email is an ever-evolving channel. As technology keeps advancing, new email innovations continually emerge. However, many marketers are leery about including them in their programs because they don’t understand how these innovations work. Before introducing any new email tactic, you must first understand your audience. It's important to know what motivates them to engage with an email and how they are viewing your content: whether on desktop or mobile, and one of a wide variety of email clients. Knowing these behaviors will help you decide what will work best for your audience. Here are three tactics you can incorporate into your email campaigns right now to drive engagement and connect subscribers with your brand. Email animations have been around for quite some time, but are still a valuable tactic. They add visual interest and have shown up to a 26% lift in engagement. Animations are fairly simple to implement and have strong support across devices and email clients. Effective animation approaches can range from subtle, cinemagraph-style animations like ripples of waves or clouds moving across the sky, to more complex animations that demonstrate the functions of a mobile app. In order to avoid load time or deliverability issues, try to keep animation files to 250kb or less. A static image fallback should be included for email clients that don’t support animation. To make sure your customers don't miss what you’re trying to communicate, set the first frame of your animation – the resting frame – as the most important thing you want them to see. Video is another engaging email tactic that offers visual interest. 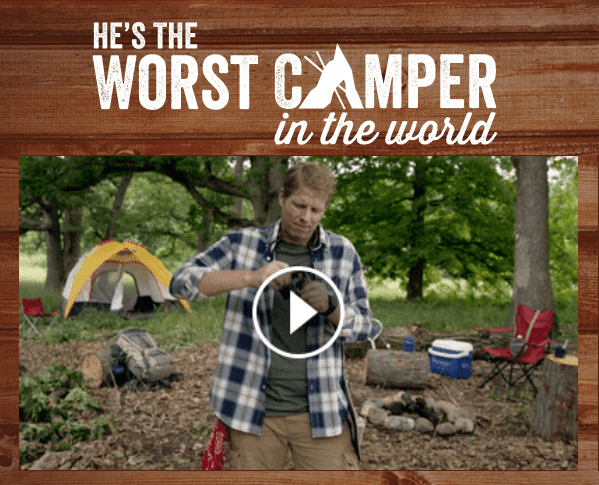 The “Worst Camper in the World” video series for Cracker Barrel drove a click-to-open rate that was 10% higher than their business-as-usual emails. It even surpassed their social media presence, prompting a nearly 2x higher click-through rate than the Facebook average. There are multiple ways to introduce video into your emails. HTML 5 allows video to play within the email itself; and while support is still limited, the email clients that support it – like Apple Mail and Samsung Galaxy Native email – represent over half of the marketshare. An animated GIF with a few frames of your video, or a static image along with a play button, teases video content and drives customers online to view the video. This approach helps reduce technical issues while still incorporating engaging content for your subscribers. In the early days of email, web-safe fonts, like Arial and Times New Roman, were king. As a result, brands had to either forgo some of their identity when delivering text-based copy or turn brand fonts into images. The latter approach ran the risk of losing important messages when images were turned off or didn't load. Fortunately, that's not the case anymore. With the introduction of web fonts in email, brands can now create a consistent experience across digital channels using live HTML text. By hosting fonts online, you don't have to rely only on users’ system fonts. While the majority of popular email clients now support web fonts, it's always important to plan for a fallback. This fallback font will appear when your brand’s web font isn’t supported. Be sure to choose a fallback font that is the same type style as your web font. For example, use sans-serif as a fallback if your web font is sans-serif. 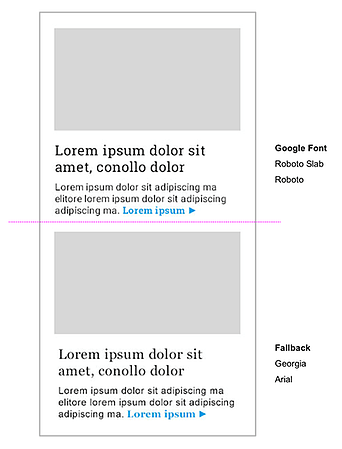 Your fallback font should also take up approximately the same area as your web font. These considerations ensure that your customers see the email the way you intend, regardless of which font they see. Incorporating GIFs, video and web fonts into your email campaigns doesn’t have to be scary. In fact, it’s pretty easy. To learn more about these email tactics and their implementation and support, contact us.